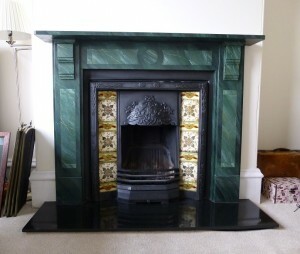 A recent faux finish project I had was to restore and then faux marble a fireplace for a couple in Doncaster. The fireplace was in really poor repair having originally been painted in the 1800’s. Once I’d finishes painting it it was restored to it’s former glory and looked as good as new. They’re now on the hunt for another fireplace for me to do, watch this space!